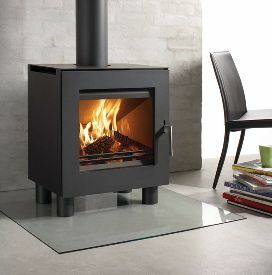 The Westfire 23 stove is a contemporary 6kw output wood burning stove. It has a direct air supply at the back of the stove as standard - you connect this with a 100mm gas pipe to the outside to comply with building regulations for rstoves above 5kw output. this stove will be available in grey shortly. 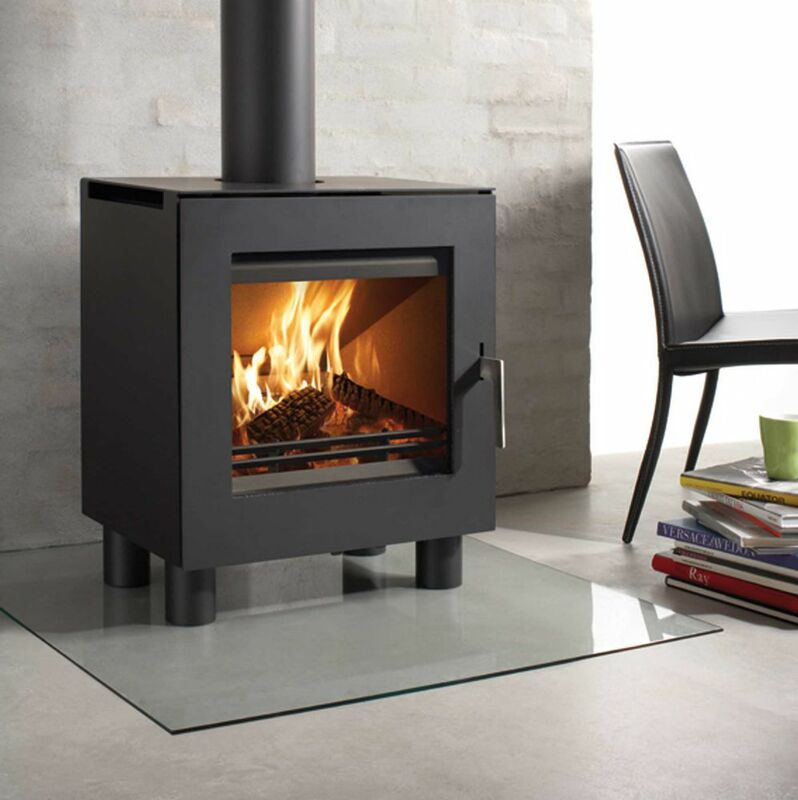 The plain contemporary look of this Danish stove makes it fit in with modern design. The Westfire 23 is now available with side windows, with a range of three different sized pedestals. WESTFIRE UNIQ 23 Looks good........BUT VERY POOR CONSTRUCTION! Stove expert replied: The manufacturer has replaced the stove after 2 years of use after first offering to re-weld it under warranty. Stove expert replied: Nice review and as with most things some parts may need replacing overtime and the log retainer may need replacing after 6 years if the distortion gets too bad. Stove expert replied: If you have smoke coming back into the room when you open the door then you need to get an anti downdraught cowl fitted, and possibly provide more air in the room for combustion. This is an installation issue and not caused by the stove, the height of the flue system may also need to be checked. Stove expert replied: Rust on the inside of the firebox may be due to damp wood or the stove not working hard enough allowing condensation to form. Wood should have less than 20% moisture content for use in a stove. Great to hear that the customer service has been responsive so far. Stove expert replied: There is a technique to adjusting the door, as there are hinges on both the body of the stove and on the door itself. It would be best to speak to the importer direct, Eurostoves number is 01934750500. Stove expert replied: When components distort in a short space of time it would imply that the stove has got to higher than normal working temperature, perhaps not run it quite so hard or run hard for short periods only, a miaximum of 15-20mins twice a day.